This is awesome. It’s another video of robots playing rock music. I’ve put up a number of videos of the German robot band, Compressorhead, and Kraftwerk, when they decided that they were going to have android versions of themselves stand in for them in a concert during their track, ‘The Model’. In this video, musician Nigel Stanford plays bass guitar while a group of robot arms around him play piano, guitar and drums. One of them is also equipped with a cutting torch, which cuts out the band’s logo, before finally going into full, guitar-smashing, piano-wrecking, room-trashing destructive mode at the end. Thus proving that robot rockers can turn it all the way up to 11. I’ve put up several pieces commenting on how undemocratic the new, pro-Western regime in the Ukraine is. This came to power a couple of years or so ago, when the pro-Russian president, Yanukhovych, was ousted after a series of demonstrations in Kiev’s Maidan Square. Yanukhovych had just a signed a treaty for closer ties to the Russian Federation. So he was deposed, and fled to Russia. A new, pro-European government has been installed, which has signed treaties giving the country greater links with Europe and the US. The parapolitics magazine, Lobster, was sceptical from the start about the supposedly ‘democratic’ nature of the revolution. In several of their articles they suggested that Yanukhovych’s overthrow was less a grassroots insurgency, but a carefully orchestrated coup by the US through its various NGOs and associated companies, dedicated to spreading neoliberalism and ensuring the corporate takeover of nations around the world for American capitalism. George Galloway said something similar in one of the videos of his that I put up last week. He stated in one of his speeches that Britain and the Americans had also engineered the overthrow of a number of regimes through giving aid to dissident groups and using their resources to spread opposition to the regime. All the usual suspects were involved: the National Endowment for Democracy (NED), the International Republican Institute, the National Democratic Institute for International Affairs, the Agency for International Development (AID), George Soros, Freedom House, et al. Since the demise of the Soviet Union, the United States has undertaken a relentless campaign to bring Moscow’s former republics and satellites into the fold of globalization and American military outposts, and in some cases to be part of highly-prized oil pipelines. In the early 1990s, the governments of Bulgaria and Albania were overthrown for not appearing to be suitable enough candidates for such honors. 2 In 1999, Yugoslavia was bombed for much the same reasons. Elsewhere in Eastern Europe, Washington has used the weapons of political and economic subversion. The standard operating procedure in a particular country has been to send in teams of specialists from US government agencies, non-governmental organizations (NGOs), American labor unions, or private organizations funded by American corporations and foundations; NED, AID, and the Open Society organizations of George Soros, American citizen and billionaire, are the leading examples. These teams go in with as much financial resources as needed and numerous carrots and sticks to wield; they hold conferences and seminars, hand out tons of material, and fund new NGOs, newspapers and other media, all to educate government employees and other selected portions of the population on the advantages and joys of privatizing and deregulating the economy, teaching them how to run a capitalist society, how to remake the country so that it’s appealing to foreign investors, how to fall happily into the embrace of the World Bank and the International Monetary Fund. The American teams have been creating a new class of managers to manage a new market economy, as well as providing the capital and good ol’ American know-how for winning elections against the non-believers. They undertake to unite the opposition behind a single candidate to optimize the chance of unseating the government; they pass information and experience from one country to another; thus the Soros organization – which has offices throughout the former Soviet domain – had people from Serbia, who had been involved in the successful campaign to oust Slobodan Milosevic in 2000, share their experiences with people in Georgia who were seeking to oust Eduard Shevardnadze in 2003, and were likewise successful. This transfer of techniques, including an acclaimed video shown on Georgian independent television, was cited by participants in Georgia as playing a vital role in their toppling of Shevardnadze. 3 The demonstrations in Ukraine in protest of the flawed election and in favor of Yushchenko have laser lights, plasma screens, sophisticated sound systems, rock concerts, tents to camp in, and huge quantities of the orange clothing which has come to symbolize their protest movement; yet we are told that it’s all spontaneous by the Western media, which give the events extensive serious coverage. 4 Compare this to the coverage and treatment in the United States of those questioning the American election of last month. He also points out that the new, pro-Western president, Yushchenko’s wife, Ekaterina, is an American. Galloway’s right, and I don’t think there can be any doubt that the Orange Revolution, far from being a democratic uprising, was very carefully and deliberately manipulated. Anti-Nato Headline (top) and cartoon against escalating American militarism (bottom). 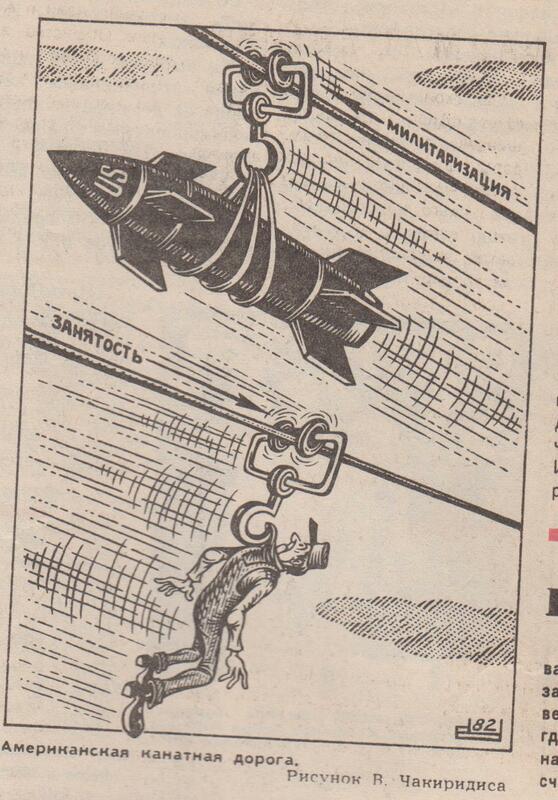 Both from the Russian political magazine, Novoe Vremya, for 17th December 1982. Last week, NATO began sending reinforcements into Poland and Estonia, and began a series of manoeuvres close to the Russian border. The supposed reason for this is to send a warning to Putin against a possible invasion of those countries. The Russians have been attempting to fly military planes over Estonia. Actually, this isn’t anything particularly new. They’ve been trying to do it to us every week since the beginning of the Cold War. Usually what happens is that we send a couple of our jets up to intercept them just as they’re approaching Scotland. The Russian flyboys then take the hint, and fly off back to the former USSR. It clearly ain’t a friendly gesture, but it’s been going on so long, that’s it not sign of an imminent invasion either. It’s just business as usual. Except that the build up of NATO troops in eastern Europe clearly isn’t business as usual. It looks very much like a return to the Cold War of the early 80s, when Thatcher and Reagan ranted about the USSR being ‘the evil empire’, and the world teetered on the brink of nuclear Armageddon. There were at least three occasions before the Fall of Communism, when the world really was almost a hair’s breadth away from nuclear war. Nearly three generations of people grew up in it’s shadow. I can remember the way it terrified my age group, when we were at school at the time. Hence the two illustrations at the top of the page, taken from a Russian language magazine at the time. One’s a headline for an article attacking NATO, the other’s a cartoon against advancing American militarism. The American left-wing magazine, Counterpunch the other day published an article attacking the supposed rationale for the NATO manoeuvres. These aren’t just in Poland, but also include Lithuania and Romania. According to the article ‘Putin’s “Threats” to the Baltic: A Myth to Promote NATO Unity’, by Gary Leupp, the manoeuvres are a response to the book, 2017: War with Russia, by the deputy commander of NATO, Sir Alexander Shirreff. Shirreff predicts that by May next year, Russia will invade the eastern Ukraine and Latvia. Leupp argues that the prediction of a Russian invasion of the Baltic states, with Latvia singled out as a particular target, comes from Putin describing the collapse of the USSR as a ‘catastrophe’ and tensions between the Russians and the now independent Baltic states of Lithuania, Latvia and Estonia. 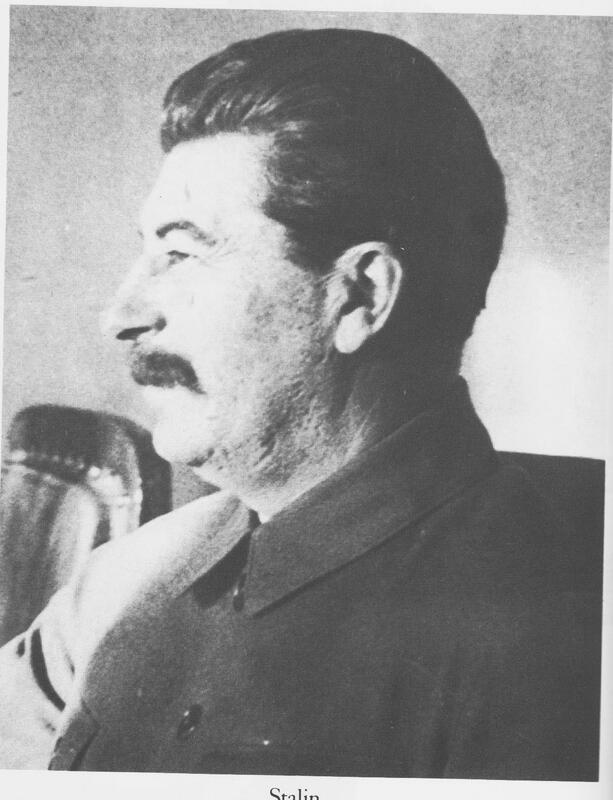 Putin, so it is believed, is a new Stalin aiming at the revival of the USSR. The also point to the Russian war with Georgia in 2008, and events in Ukraine two years ago in 2014, to show that the threat from Russia is real. Leupp’s article argues that it is nothing of the sort. The Russians have denounced NATO expansion up to their borders and held manoeuvres of their own, but have also continued with offers of co-operation and referred to the NATO nations as ‘our partners’. He argues that the tensions with Russia in the Baltic states are due to the stripping of the Russian minority in these countries of their rights as an ethnic minority, and increased anti-Russian nationalism, after the states gained their independence from the former Soviet Union in 1991. Russia certainly sees itself as the protector of ethnic Russians elsewhere, including the Baltic and Ukraine, but points out that this does not mean that it is planning an invasion. It is also much smaller and weaker, militarily, than NATO. NATO forces comprise nearly 3 1/2 million squaddies, compared to Russia, which has just under 800,000. NATO spends nearly $900 billon on defence, while Russia spends $70 billion. He also argues that the war between Russia and Georgia wasn’t a simple case of Russian aggression either. They went into defend South Ossetia and Abkhazia, small countries that had been forcibly incorporated in Georgia, and which wished to break away. He compares it to the NATO dismantling of Serbia, when Kosovo was taken out of Serbian control. This was against international law, but justified by Condoleeza Rice against protests from Spain, Greece and Romania. He also states that the support the Russians have given to their ethnic fellows in the Donbass region in Ukraine, against the Fascist-backed Ukrainian government, hardly represents an invasion. He also argues that the existence of NATO, and its supposed necessity is never discussed or questioned, with the exception of a recent piece in the Boston Globe by Stephen Kinzer, a senior academic at Brown University. He didn’t argue that NATO was unnecessary, only that we needed less of it. This was followed by a piece by Nicholas Burns, a member of George W. Bush’s administration, and now a lecturers in diplomacy at Harvard. Burns states that NATO is necessary for four reasons: defence against Russian aggression; the fragmentation of the EU following Britain’s decision to leave; violence from North Africa and the Israel-Syria region spreading into Europe, and to counter the lack of confident leadership in responding to these issues from Europe and America. Burns and General Jim Jones, a military advisor to Obama, believe that NATO should station permanent troops in the Baltic, the Black Sea region, the Arctic and Poland, and be ready to send American forces in to help the Poles defend themselves. Burns also argues that NATO is needed because of the growing threat of isolationist forces – meaning Trump – in the US. He finally concludes that it seems to be an endorsement of Hillary Clinton, who has, in contrast to Trump, been very keen to bomb Libya, support the invasion of Iraq, and now wants to bomb Syria. Meanwhile, the prospect of a real, lasting peace between the West and Russia, which began with the thaw between Reagan and Gorbachev, is now threatened by a new generation of militarists, including the hawkish Shrillary. It’s another reason, apart from her bloody legacy when she was in charge of Obama’s foreign policy, why she should not get in the White House any more than Trump should. For just about everyone born after the Russian Revolution, and particularly after the horrors of Stalin, Chairman Mao, Pol Pot and a myriad other dictators, who have claimed to govern on behalf of the workers and peasants, Marxism has appeared quite contrary to democracy. Marx and Engels stood for violent revolution, and their theories provided the basis for oppressive, oligarchies ruling through mass arrests, terror and murder. Democracy was seen as a necessary, but not a sufficient, condition for freedom. (p. 142). Between capitalists and communist society lies the period of the revolutionary transformation of one into the other. There corresponds to this also a political transition period in which the state can be nothing but the revolutionary dictatorship of the proletariat. In his correspondence, Marx asserted that “the class struggle necessarily leads to the dictatorship of the proletariat, which in turn represents a “transition” to a classless society. How is this compatible with “winning the battle of democracy,” as mentioned in the Communist Manifesto? Because “the democratic republic,” as Engels explained, is “the specific form of the dictatorship of the proletariat.” Just as in a capitalist state “wealth exercises its power indirectly, but all the more surely”, so in a workers’ state the numerical superiority of the proletariat turns democracy in form to a class dictatorship. Marx’s contemporary, John Stuart Mill, agonised over precisely this point. The democratic republic under capitalism becomes the arena in which workers struggle to wrest political control from the capitalists. Once this is accomplished, then under socialism it is the workers’ state that exists as long as any state is necessary -i.e. until the “withering away of the state”. (p. 143). He notes that Marx admired the Paris Commune, because he believed it had universal suffrage, an open society, freedom of religion and separation of church and state, and a non-militaristic viewpoint. (p. 144). On revolution, he quotes Engels as saying ‘the abolition of capital is itself the social revolution’, and later, at the end of his life, that ‘the bourgeoisie and the government came to be more afraid of the legal than of the illegal action of the workers’ party, of the results of lections than of those of rebellion.’ (p.148). Engels was also aware that it was extremely rare for civilian rebels to overcome an army in street fighting. (p.149). He also believed that violence was more likely to be started by the capitalists than by the workers. The parliamentary regime lives [according to Marx] by discussion: how shall it forbid discussion? Every interest, every social institution, is here transformed into general ideas, debated as ideas; how shall any interest, any institution, sustain itself above though and impose itself as an article of faith? The struggle of the orators on the platform evokes the struggle of the scribblers of the press; the debating club in parliament is necessarily supplemented by debating clubs in the salons and the pothouses; the representatives, who constantly appeal to public opinion, give public opinion the right to speak is real mind in petitions. The parliamentary regime leaves everything to the decision of majorities; how shall the great majorities outside parliament not want to decide? 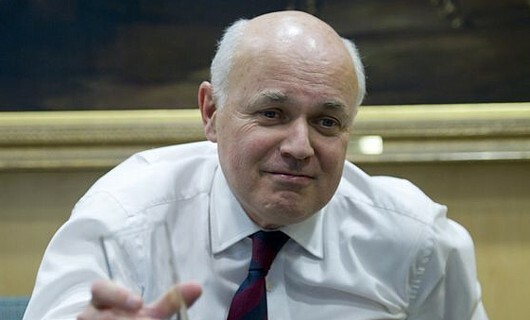 When you play the fiddle at the top of the state, what else is to be expected but that those down below dance? The time of surprise attacks, of revolutions carried through by small conscious minorities at the head of unconscious masses, is past. Where it is a question of a complete transformation of the social organisation, the masses themselves must also be in it, must themselves already have grasped what is at stake, what they are going in for with body and soul. (p. 152). We think of this reign of people who inspire terror on the contrary, it is the reign of people who are themselves terrified. Terror consists of useless cruelties perpetrated by frightened people in order to reassure themselves. (p. 153). It’s advice that far too few self-confessed Marxist regimes put into practice. What makes this particularly interesting is that Margaret Thatcher tried to have legislation passed to ban Marxists from having positions in academia. Furthermore, radicals like Noam Chomsky point out that America did have a tradition of working class, left-wing politics, under this was destroyed by the anti-Communist hysteria of the Cold War. In all fairness, Thatcher and the Cold Warriors had a point, in that the Communist Party founded by Lenin was based on the monopoly of power by a small, revolutionary coterie, who jailed and persecuted their enemies, with horrific brutality. But many Marxists actively opposed them. Rosa Luxemburg was bitterly critical of the Bolshevik coup and the suppression of political freedom in the USSR. So was Karl Kautsky, one of the leading figures of Austrian Marxism, who occupied the centre of the country’s Social Democratic Party, the main Socialist party, and which today roughly corresponds to the Labour party in Britain. Kautsky wrote pamphlets and articles attacking the Bolshevik coup, and supported the break-away Menshevik regime in Georgia. There are very many problems with Marxism, ranging from its rejection of eternal, objective moral values, to its conception of history as based on the class struggle and the Hegelian dialectic, as well as its materialism. 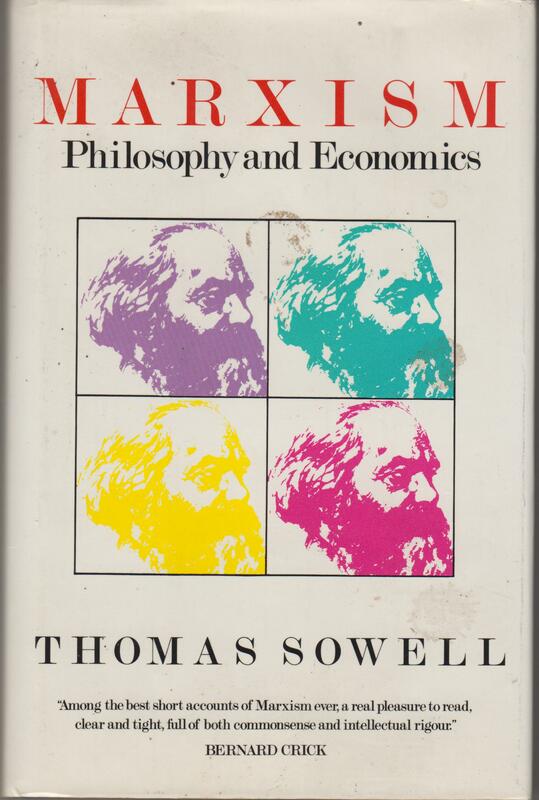 But it also provides material for a democratic socialism, as against totalitarian tyranny and mass murder.